IRAS 14348-1447 is located over a billion light-years away from us. It is one of the most gas-rich examples known of an ultraluminous infrared galaxy, a class of cosmic objects that shine characteristically — and incredibly — brightly in the infrared part of the spectrum. Almost 95% of the energy emitted by IRAS 14348-1447 is in the far-infrared! 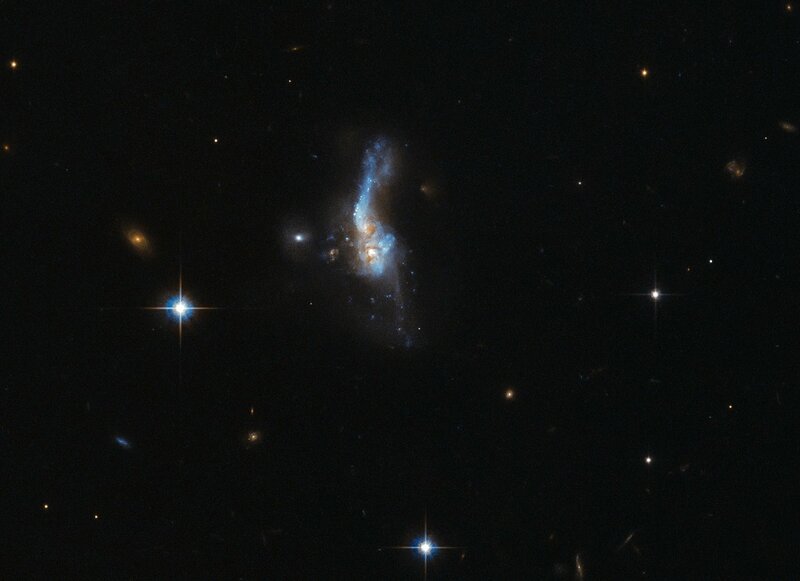 The huge amount of molecular gas within IRAS 14348-1447 fuels its emission, and undergoes a number of dynamical processes as it interacts and moves around; these very same mechanisms are responsible for IRAS 14348-1447’s own whirling and ethereal appearance, creating prominent tails and wisps extending away from the main body of the galaxy.